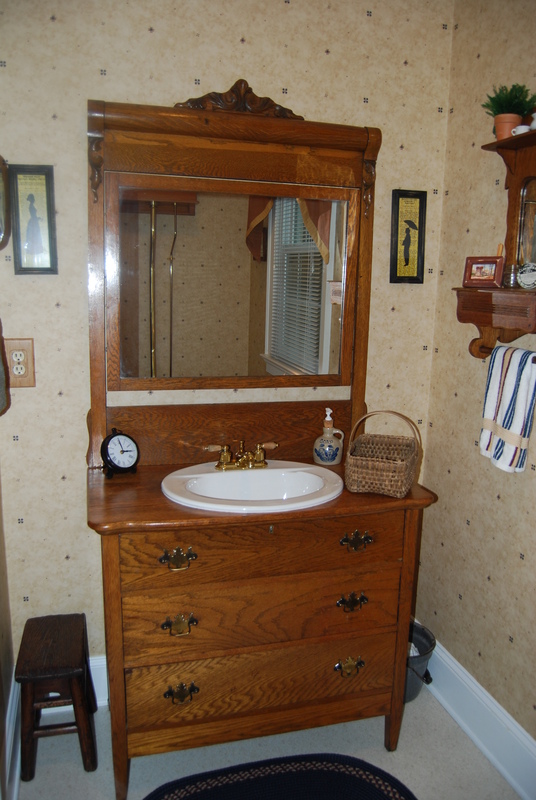 This was an old oak dresser that Motor Man made into a vanity for our half bath. A few of you asked to see the finished product. The room is very small, so it was difficult to get good photos. 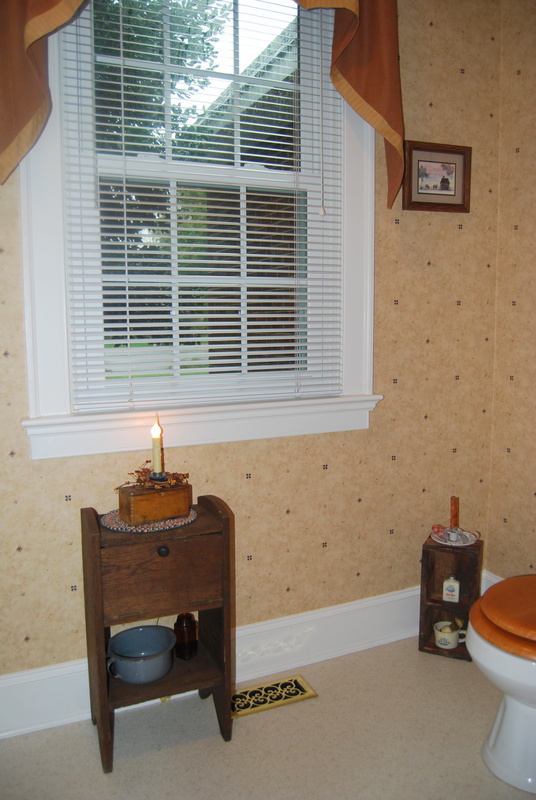 Motor Man thought this old timey “water closet” would go well with the dresser/vanity. I agreed. AND he installed it himself. What a guy. 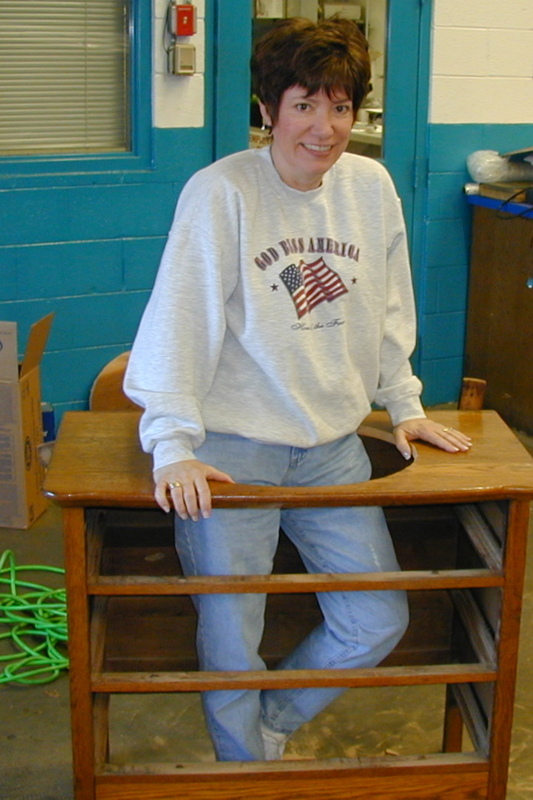 We found this little cupboard several years ago at an antique shop in South Carolina. See the wooden knob? That’s the handle to a little door that flips down, providing the perfect place to keep spare rolls of “necessary paper”. 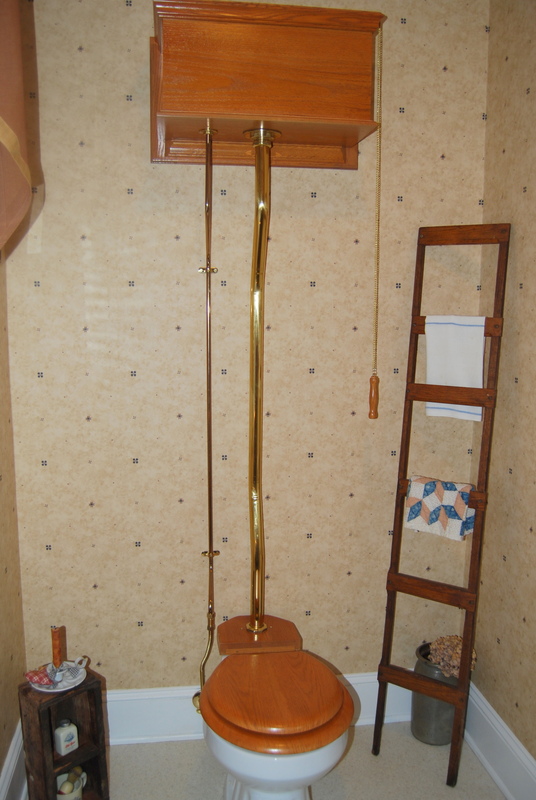 So that’s a look at our half bath. Old-fashioned and country. Just like us.